The high street cosmetics chain Lush has committed to removing all traces of mica from its products over concerns that it is unable to guarantee that the mines which extract the product are free from child labour. The announcement came after the store chain was contacted by the Guardian, investigating how cosmetics producers are trying to clean up the mica supply chain. Charities and NGOs working in India, where the mineral is mined, argue that mica is extracted by organisations whose certification of ethical practice through an audit process cannot be guaranteed. Aidan McQuade, director of Anti-Slavery International, said: "Audits take individual samples of working conditions and often miss bigger issues. There's also the problem that evidence of child labour is frequently hidden during these audits, as these processes are open to corruption." Mark Constantine, a co-founder of Lush, said the chain would usually request spot checks on its suppliers to be assured about local practice, but the area in which mica is mined is too dangerous for visitors to arrive unaccompanied. This means that Lush is unable independently to guarantee that child labour is not used on the sites that supply the mineral to the store. Constantine said concerns had first been raised some years ago, but Lush had thought assurances by audit would be enough. It has now reconsidered its policy in the light of recent concerns. "It made us all run around and ask, what are we going to do then? Why are we using it?" he said. Lush has not set a date by which the mineral will be eliminated from all its product lines, but is already using synthetic replacements where possible. 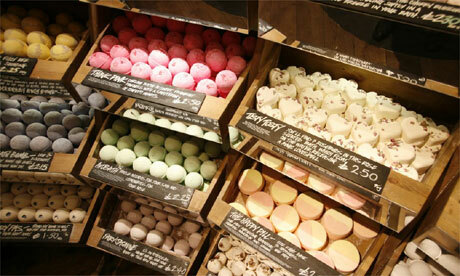 "We have been moving across to synthetic mica on things like the bath bombs. Really, we would like to be able to get a mica that was mined correctly. At some stage, the whole industry should take responsibility for that." Join our community of sustainability professionals and experts. Become a GSB member to get more stories like this direct to your inbox.